Reasons that cause smartphones to be warmer include a number of actions like using it for a long time, playing games for many hours, or watching videos online. Other issues, like putting the phone under direct sunlight make it warm as well. Aside from this, the design of the phone also causes overheating issues. Smartphones will overheat if the battery and the processor get over-worked. However, it will return to normal temperature once it’s unused for a while. But, if it still overheats even when you do not use it, you should immediately address the concern. There is a number of iPhone XS/XS Max users that are encountering overheating issues when the temperature on the phone is much higher than the normal limit. So, to help you get rid of the overheating issues on the iPhone XS/XS Max, highlighted in this post are a few helpful workarounds to fix the problems. Bad apps sometimes are the main reason that has an impact on the processor. They running on the background are the ones causing the overheating issues. Apps in the background play an important part when you do other tasks, but they can cause the trouble if they get corrupted or suddenly crashed. So, you should clear all the background apps to fix the overheating issues. Swipe your finger up from the bottom of the screen and pause for a while. Swipe left or right to scroll through the apps review. After swiping up on the apps preview to close it. Do the same with the rest of the background apps. Once you clear all the background apps, you should check if the issue of overheating still persists. While a force restart has a similar result as a soft reset, it is performed in a different way. You can clear out all glitches causing the phone to overheat when doing a force restart. The process does not affect the data saved on your phone internal storage, so there is no need to back up. Follow these steps below to force restart your iPhone. Finally, press & hold the Power button and release it when you see Apple logo. A force restart can also fix your iPhone when it gets unresponsive or clear software errors causing it to heat up. If your iPhone XS/XS Max gets overheated after installing a new app, then it could be the underlying cause. To find out if it’s the real cause, you should disable those apps that you suspect and remove them permanently. Here is you can disable the apps on your iPhone XS/XS Max. Launch the Settings app from the Home screen and tap on Screen Time. Choose Content & Privacy Restrictions. Toggle the switch next to Content & Privacy Restrictions and choose Allowed apps to locate the apps that might be causing the overheating issues. Tap on the switch next to the app to disable it. Here is how to remove the erroneous app from your iPhone permanently. From your home screen, tap and hold on to the icon of the app that you want to remove. When you see the icons start jiggling, tap on X on the top left corner to delete. Tap on Delete prompt again to remove the apps as well as the data related to that app. Restarting your device after removing the apps to stop further overheating of the device. When the battery power on your phone is low, and you do have the opportunity to charge it immediately, you can take advantage of the low power mode. In the low battery mode, some features on your phone will be disabled and the performance will get a little slow, which can reduce the chances of the devices becoming overheated. There are many apps on your iPhone using Location Services without your knowledge while some of them do not require this option to function. So, the best option is disabling the location services when you do not use it. Next, check the apps and then choose the option to either “Never” or “While using the app” based on your preference. Tap on General and then select Reset. Enter the passcode when prompted and tap again on the popup to confirm resetting all the settings. 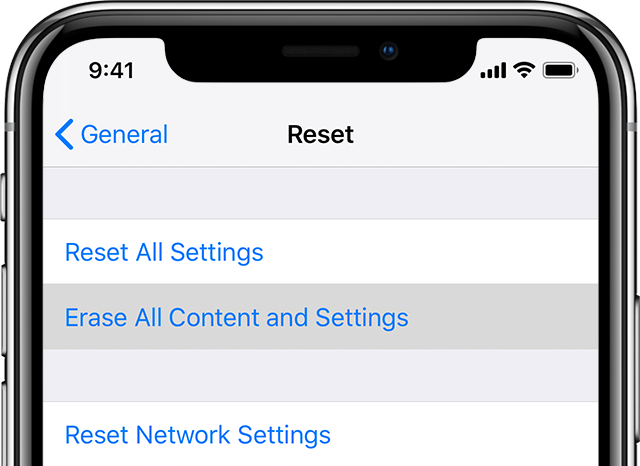 Your iPhone will automatically start up after resetting all the options and all the original values will be restarted to default. Check and find out if the procedure works or not to fix the overheating issues on your iPhone Xs/Xs Max.